Meggy thinks she is a duck!! 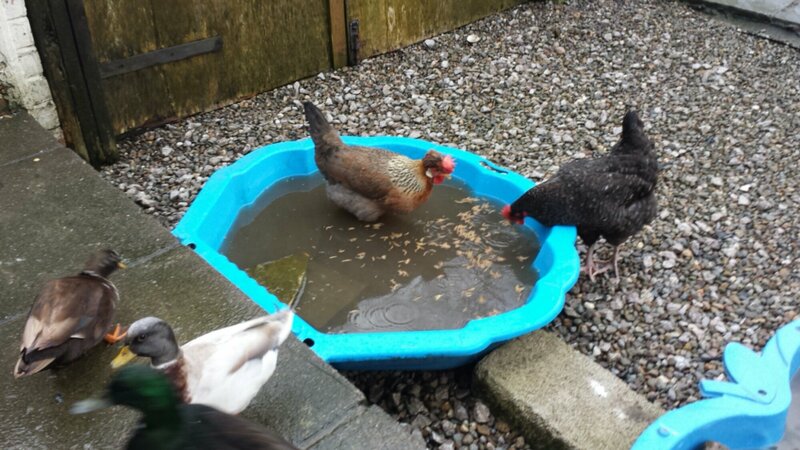 When it is windy I put the mealworms for the ducks in their ponds and and some on the lawn for the chickens. Sometimes the chickens try and eat the ones in the ponds leaning over the edge; once Irene fell in and scrambled out as fasy she could, very unhappy. I couldn’t believe it today though when I saw Meggy actually standing in the pond to eat them, much to the disgust of the ducks!! !